Our community is getting geared up for the holidays. Is your smile ready? If you’re one of the many adults who are dissatisfied with imperfect teeth, we’ve got good news. 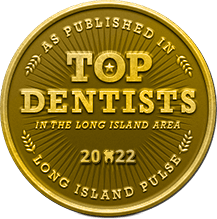 Your cosmetic dentist in Long Island performs full smile makeovers to help you achieve the look you’ve always dreamed of. And right now, he’s offering complimentary (read: free) smile makeover consultations for patients like you! There’s never been a better time to find out whether or not a smile makeover is right for you. As Elissa and Brendan will tell you, it just may be the best thing you ever did. Elissa and Brendan are twins who had suffered with imperfect smiles for too long… until they decided to do something about it. Now they can’t quit smiling. 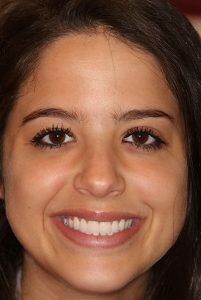 Elissa was dealing with a gummy smile, or teeth that looked too small compared to excess surrounding gum tissue. Brendan had gapped teeth and a misaligned bite. Custom-crafted porcelain veneers were the answer for improving both smiles. It’s not quite magic that helps your cosmetic dentist reveal results as dazzling as Elissa’s and Brendan’s — even though it may feel that way. 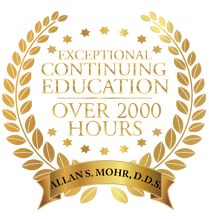 With over three decades’ experience transforming teeth, Dr. Mohr is a true expert in the field. 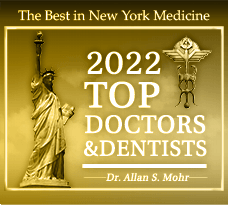 You simply won’t find a Long Island dentist who is better equipped to fix your flawed teeth. The smile makeover from Dr. Mohr is customized to meet your personal desires. Elissa appreciates the fact that her new smile looks natural — not like those “fake white tee shirt teeth,” as she puts it. Having veneers that blended with the rest of her smile was important to her, so it was important to Dr. Mohr, too. 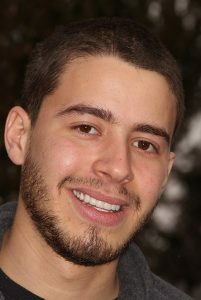 Your smile makeover is customized to your unique needs and desires, so the total treatment time depends on the necessary treatments. Effective tooth replacement takes many months to complete, but porcelain veneers are placed over just a few visits. During your free consultation, Dr. Mohr will tell you how long you can expect the makeover to take. Join Elissa, Brendan, and the numerous other patients who have benefitted from Dr. Mohr’s smile transformations. Get in touch with our office and let us know you’d like to take advantage of the free smile makeover consultation when you do! 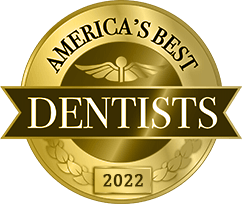 There’s nothing we’d love more than to discuss how we can make your teeth truly dazzle. Schedule an appointment online today!